It's that time of year again, time to begin pulling together all the receipts from 2016 and combine them with the myriad tax forms that no doubt began arriving in your mailbox a few weeks ago. 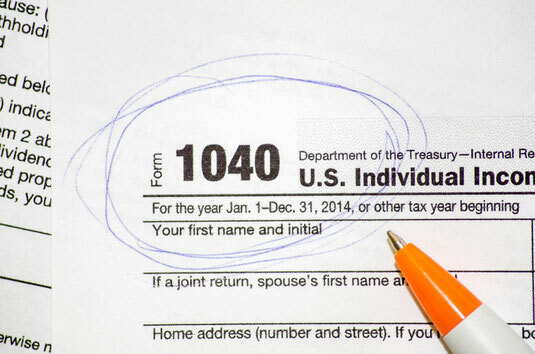 In filling out tax returns one of the areas that many people have questions about is their car, and which expenses related to owning and operating it are deductible. This is especially true now that so many people supplement their incomes by driving for ride sharing services like Uber and Lyft. Because so many people rely on our toll calculator to quickly calculate toll expenses for car trips we wanted to help people better understand these deductions. Deductible Expenses: According to the Internal Revenue service deductible car expenses include any related to the operating and maintaining of your car when traveling away from home on business. You can deduct actual expenses or the standard mileage rate, as well as business-related tolls and parking. If you rent a car while away from home on business, you can deduct only the business-use portion of the expense. Standard Mileage Rate: You may can use the standard mileage rate of 54 cents to figure the deductible costs for operating your car in 2016, however if you do use it you cannot deduct your actual expenses such as depreciation, lease payments, maintenance and repairs, gasoline, oil, insurance and vehicle registration fees- but you CAN still deduct tolls (see below). Loan Interest: If you are an employee you cannot deduct interest paid on a car loan, however if you are self-employed you can deduct the proportion of interest paid on a car loan that represents your business use of the car. Employee Provided Vehicles: If you use a vehicle provided by your employee for business purposes, you can deduct your actual unreimbursed car expenses. You cannot use the standard mileage rate. You can find the full details regarding the IRS guidelines for deductible car expenses here, but you should always seek out a tax expert or CPA (certified public accountant) with any questions you have regarding any deductible expenses.